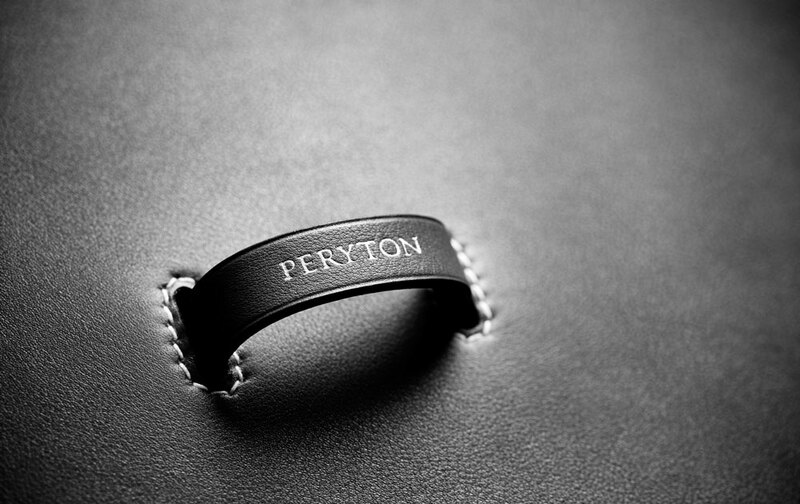 In an industry dominated by hyper-commercialized luxury, Peryton designer and founder Gina Love dreamed of creating something delightful and rare: not a fashion brand, but a fine-leather goods company focused on artful and functional design, brought to life through beautiful craftsmanship and infused with a little bit of storytelling. 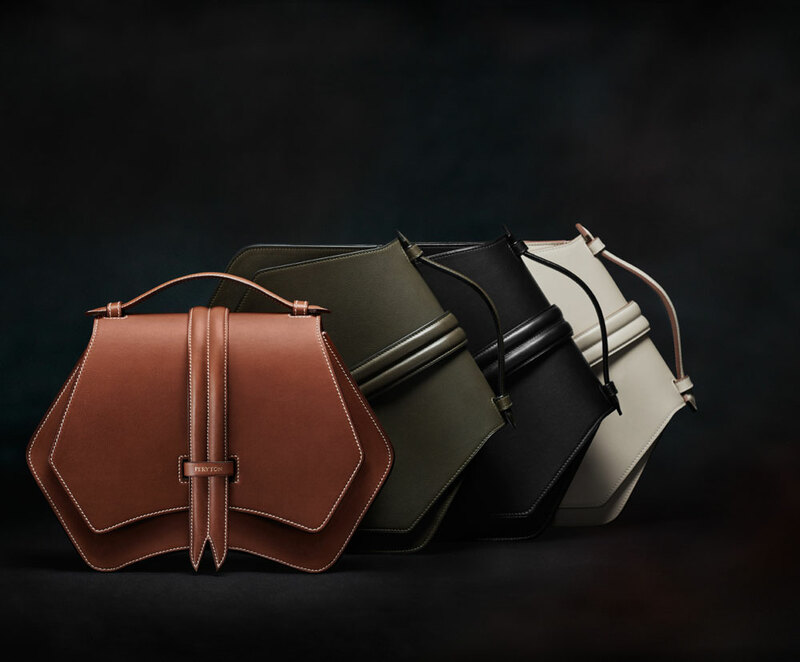 Gina Love’s knack for fusing unconventional shapes with elevated materials makes her accessories double as portable works of art. Each skillfully made object, often enhanced with rich textures and bold pops of color, is equally at home at the office or a night out on the town. 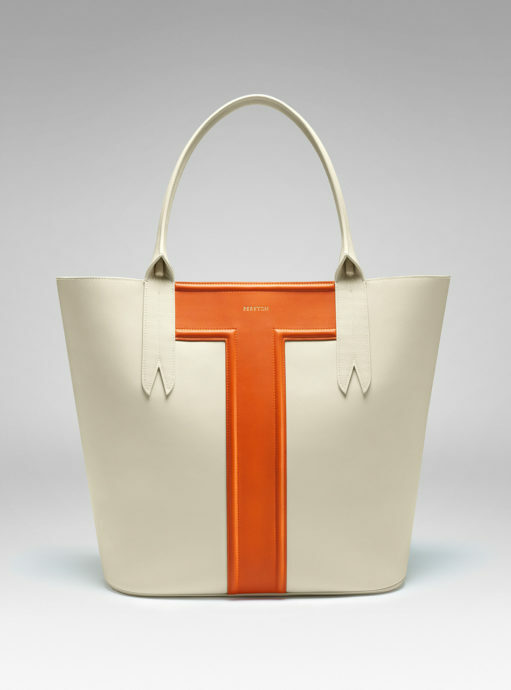 Peregrine Max weekender tote in cream-and-orange calfskin. 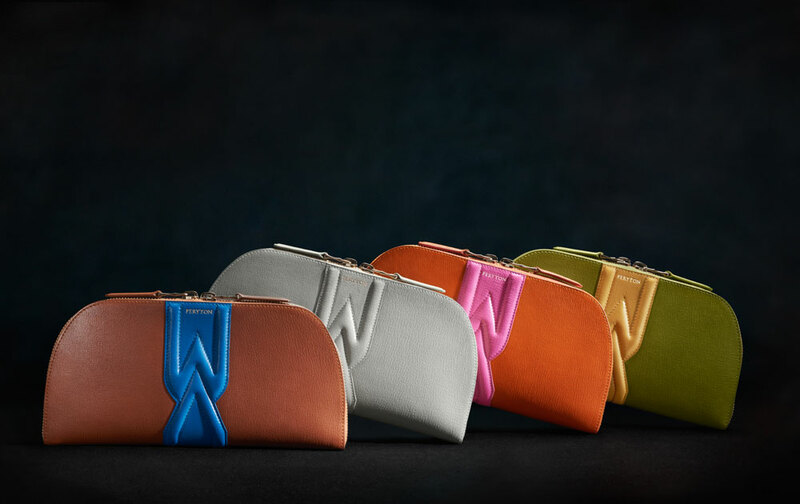 Gamine clutches in multiple colors. 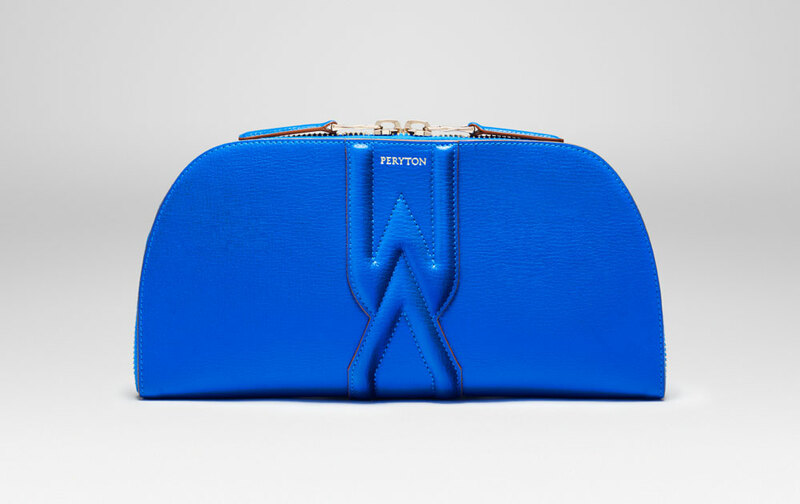 Gamine clutch in brilliant blue goatskin. Lined with cognac goatskin. 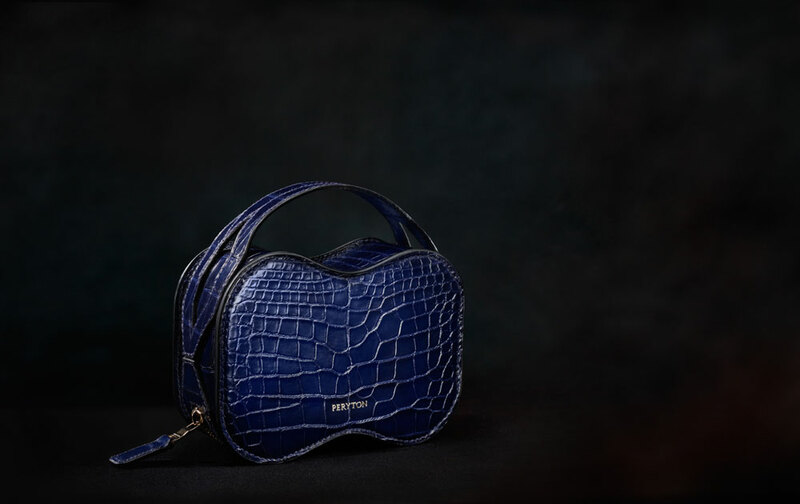 Charis clutch in blue millennium alligator skin. 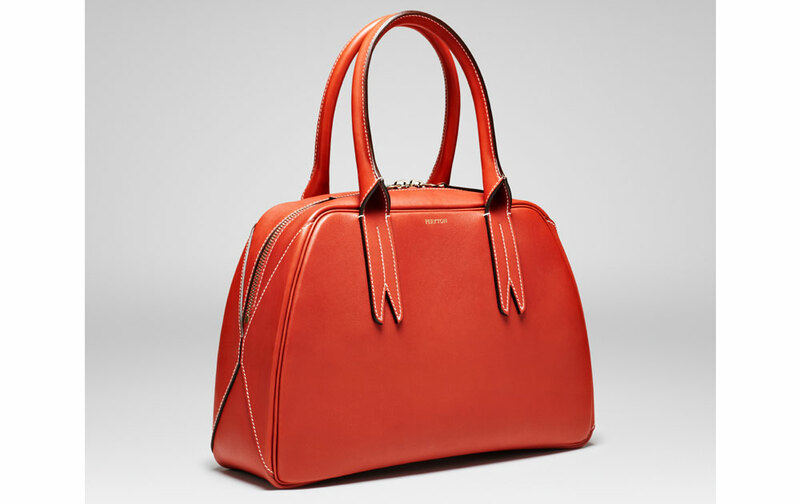 Indomita satchel in brick-red calfskin with contrasting stitching.